This is an editable Power Point slide. 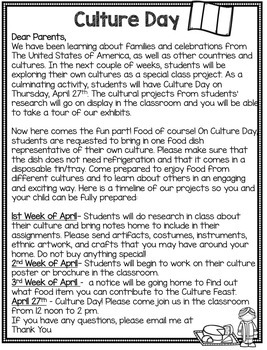 We love to celebrate different cultures in our classroom and once a year we have a multicultural day where students present and we have tons of cultural food. 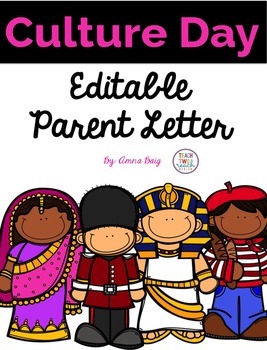 This an an editable parent letter describing this event. The font used for the text is KG Miss Kindergarten. Images are not editable.